Do you remember Cryptosteel, well there seems to be some competition in the undestructable steel private key backup space with Billfodl. It is another steel crypto wallet that offers extreme protection and safety for your secure crypto wallet private key or recovery phase, so you will know you wil be safe with yet another almost undestructable backup. So if you want to be really on the safe side with your sensitive backups of crypto wallet private keys or revocery phrases, then you should definetky check out Cryptosteel and Billfodl as an alternative to hardware crypto wallets for example and other more traditional ways of backing up sensitive data. 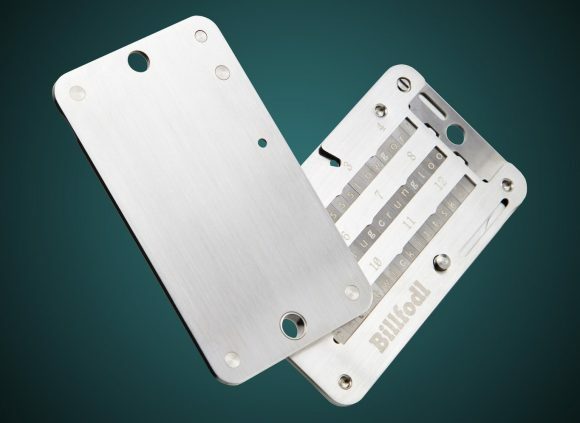 Billfodl is made from some of the highest quality marine grade 316 stainless steel according to the makers and that ensures that it is fireproof as essentially it is protected up to 1200C/2100F temperature and is top rated to protect against heat related elements that might destroy your sensitive data. Billfodl is also waterproof and protects against all water related threats, including corrosive salt water, so your data would be safe even at the bottom of the ocean floor. Billfodl is also shockproof. In fact it is apparently constructed to even withstand over a million volts of electricity, so whether it is solar spots, a nuclear strike, or a microwave bomb your backup should withstand it all. Cryptosteel is an interesting project for an almost indestructible stainless steel offline wallet to store your private keys and passwords offline. 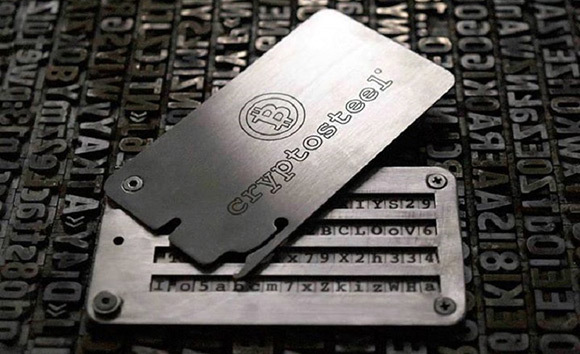 Cryptosteel comes with 3 stainless steel sheets full of engraved letters – all caps and digits, so that you can design your cold wallet storage of up to 64 characters in minutes without the need of special tools. You create the secret content yourself, so you can use it not only as an offline crypto currency wallet, but for storing other important passwords or data as well. The cryptosteel is not yet available, but the people behind the project are almost ready to launch a crowdfunding campaign to get it in the hands of the most eager users who want to get it first. 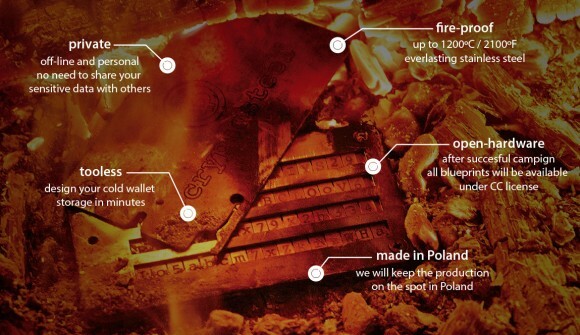 The Cryptosteel Cold Wallet crowdfunding campaign will start on Indiegogo on 20th of May, so in just a few days you will be able to reserve your spot to be among the first to get the device.